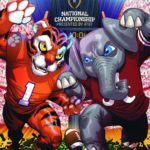 In the semi-final games on Saturday, #2 Clemson Tigers cruised to victory over #3 Notre Dame, and #1 ranked Alabama Crimson Tide sailed over #4 Oklahoma setting up the college football championship on Monday January 7th at Levi’s Stadium in Santa Clara, CA. Clemson and Alabama are continuing their intense rivalry since the College Football Playoff National Championship emerged in 2014. In the 2015 season, Alabama beat Clemson while the Crimson Tide lost to Clemson in the 2016 season. The NFL playoff picture is set. The Indianapolis Colts, Baltimore Ravens and Philadelphia Eagles clinched playoff spots, while the Minnesota Vikings and Pittsburg Steelers’ seasons are over. Steelers Coach Mike Tomlin’s future with the team is in jeopardy after the team will miss the playoffs for the first time since 2013. For the full playoff schedule starting with the wild card round on January 5th, click here. Houston’s James Harden is on fire. With his 45 points in a win over the Boston Celtics, he marked his eighth consecutive game with at least 30 points. 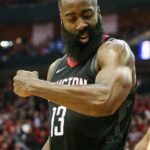 According to Elias Sports Bureau, “the 388 points Harden has scored over his past 10 games are the most by any NBA player during a 10-game stretch since Kobe Bryant scored 396 from March 22 to April 8, 2007.” If Harden keeps up this intensity, he could very well repeat as the NBA MVP. Houston 127, Celtics 113. For the first time since 1941, a Bowl game was canceled. In 1941, the game was canceled due to the attack on Pearl Harbor, and Wednsdays’s matchup between Boston College and Boise State was canceled due to thunderstorms (the first time a game was canceled due to weather issues). Boston College was leading the matchup 7-0, but the game was ruled a no contest. In an odd twist of drama to the much anticipated Cotton Bowl semi-final matchup between #3 Notre Dame vs #2 Clemson on Saturday, three Clemson players were found ineligible due to testing positive for a banned substance. The players were shocked with the findings having never heard of the substance ostarine, which was found in their routine tests. The players affected are defensive tackle Dexter Lawrence, backup offensive lineman Zach Gisella and tight end Braden Galloway. 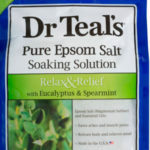 All three have hired lawyers and are investigating everything including the Epsom salts in their floating tank. In the other hyped Christmas Day game, the Philadelphia 76ers and the Boston Celtics did not disappoint. 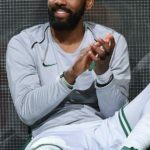 With nine lead changes and the game tied nine times, everyone played their heart out, but the Celtics Kyrie Irving was the true star of the game. Not only did he make the game tying basket in regulation, but he stepped up in a big way in overtime immediately knocking down two threes and finishing the game with 40 points and 10 rebounds. Celtics 121, 76ers 114. Alabama Coach Nick Saban announced he was suspending three of his players for violating team rules and policies. Of the three, only guard Deonte Brown is a starter. Alabama plays Oklahoma in Saturday’s Orange Bowl, and if they win, they will play for the National Championship. Saban hasn’t mentioned how long the suspension will last. It was a big weekend in the NFL as some teams clinched a playoff spot, a divisional championship, and even a first-round bye, while others are barely hanging on before getting mathematically eliminated from the postseason. For the 10th consecutive year, the New England Patriots locked up the AFC East Division. The #1 ranked Kansas City Chiefs clinched a playoff spot, but with two weeks of losses failed to clinch the division and home-field advantage. The Chiefs may still get a first-round bye if they beat the Raiders in week 17. After the Indianapolis Colts beat the NY Giants, their playoff hopes are still alive and could clinch a spot next weekend with a win over the Tennesse Titans. With their victory over the Pittsburgh Steelers, the New Orleans Saints clinched the #1 seed and home-field advantage for the second time in franchise history. The Dallas Cowboys clinched the NFC East with their win over the Buccaneers (their 3rd NFC East title in the last 5 seasons), while the Seattle Seahawks fought hard on Sunday night against the Kansas City Chiefs to clinch a playoff spot. The Philadelphia Eagles have a rough ride ahead if they want to clinch a wild-card playoff spot as they’ll need to beat the Washington Redskins and hope the Minnesota Vikings lose. For the full playoff picture after week 16, click here. 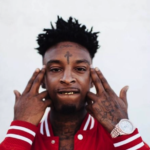 LeBron James has been receiving some heat after posting lyrics on Instagram from the song “ASMR” by hip-hop artist 21 Savage, “We been getting that Jewish money, Everything is Kosher.” James apologized saying, “Apologies, for sure, if I offended anyone. That’s not why I chose to share that lyric. 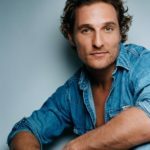 I always [post lyrics]. That’s what I do. I ride in my car, I listen to great music, and that was the byproduct of it. So I actually thought it was a compliment, and obviously it wasn’t through the lens of a lot of people. My apologies. It definitely was not the intent, obviously, to hurt anybody.” LeBron has 45.8 million followers on Instagram. Former Louisville coach Rick Pitino is reported to have accepted a position as coach of the Greek team, Panathinaikos. Pitino was a highly successful and public figure as coach of Kentucky basketball from 1989-1997 and Louisville from 2001-2017 but had a very public fall from grace when the FBI named him in a “pay for play” college recruiting investigation in September of 2017. Many high school football recruits were signed on Wednesday, a newly instituted early college football signing day. Traditionally, recruits signed their letters of intent in February, but last year a majority of the freshman college class were signed early. 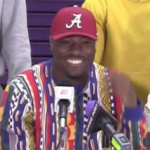 According to USA Today, the clear winner of the day was Alabama who signed Florida running back Trey Sanders, while the biggest surprise of the day was Michigan flipping safety Daxton Hill back after he said two weeks ago he was switching his allegiance from Michigan to Alabama. For their full list of winners and losers, click here. Major League Baseball, the Major League Baseball Players Association, and the Cuban Baseball Federation (FCB) agreed to a deal allowing Cuban baseball players to play on a US team without defecting. Rob Manfred, the MLB Commissioner, said, “For years, Major League Baseball has been seeking to end the trafficking of baseball players from Cuba by criminal organizations by creating a safe and legal alternative for those players to sign with Major League Clubs. We believe that this agreement accomplishes that objective and will allow the next generation of Cuban players to pursue their dream without enduring many of the hardships experienced by current and former Cuban players who have played Major League Baseball.” The FCB will first get a percentage of an MLB player’s contract as a release fee before allowing them to negotiate their individual contracts and come to the US on work visas. Senators Orrin Hatch (R-UT) and Chuck Schumer (D-NY) introduced a bill intended to establish standards on sports betting and provide “world-class safety measures to protect consumers, preserve the integrity of sporting events, and ensure the propriety of the sports wagering market.” The Sports Wagering Market Integrity Act of 2018 also requires wagering operators to use data provided from the sports leagues (with the intent of providing another source of revenue for the leagues). The all-stars have been selected for the NFL Pro Bowl on January 27th. 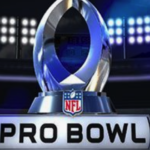 With seven players selected, the Los Angeles Chargers have the most pro bowl pics while no Oakland Raiders, Buffalo Bills and Tampa Bay Buccaneers players were selected. Not surprisingly, New England Patriots QB Tom Brady got the nod (his 14th pro bowl selection, tying Peyton Manning, Bruce Matthews, Merlin Olsen and Tony Gonzalez for the most selections in the history of the game). Also for the history books, Denver Broncos rookie, Philip Lindsay became the first undrafted rookie offensive player named to a Pro Bowl roster. For a list of all selections, click here. One of the stories circulating this week about President Trump has to do with his charitable organization paying for personal items including two portraits of himself and a signed Tim Tebow football helmet. Tebow is a former NFL quarterback and current baseball player on the New York Mets roster. The Foundation has agreed to re-donate certain items including the helmet which cost the foundation $12,000. 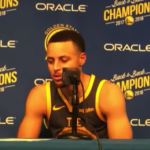 Golden State Warriors’ Steph Curry only needed 10 more points on Monday night to add yet another accolade to his list of accomplishments. In a win over the Memphis Grizzlies, Curry became the fifth player in Warriors history to score 15,000 regular season points. He joins Wilt Chamberlain, Rick Barry, Chris Mullin, and Paul Arizin. Warriors 110, Grizzlies 93. It wasn’t pretty, but the New Orleans Saints beat the Carolina Panthers on Monday night to put them one win away from securing the # 1 spot in the NFC playoffs. The Saints had to rely on their defense and many mistakes from the Panthers to pull out the win, but Saints coach Sean Payton and quarterback Drew Brees did make history winning their 117th game together and passing Miami’s Don Shula and Dan Marino. Only Bill Belichick and Tom Brady have more regular season wins together (205). The Chicago Bears beat the Green Bay Packers 24-17. With the win, the Bears capture the NFC North for the first time in eight years. 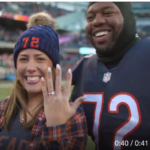 After the game, Bears left tackle Charles Leno Jr proposed to his girlfriend (who said yes). Aside from the proposal, the best play of the day was Bears’ linebacker Khalil Mack sacking Packers Aaron Rodgers with his back. The Pittsburgh Steelers finally beat their nemesis, the New England Patriots. In the 4th quarter with the Patriots down 10-14, quarterback Tom Brady was intercepted, then Steelers’ kicker Boswell hit a field goal for Pittsburgh to go up 17-10. With less than a minute left in the game, Brady tried to come back but couldn’t find a way to win. Steelers quarterback Ben Roethlisberger secured his first win vs Tom Brady since 2011, and his team snapped a three-game losing streak. Steelers 17, Patriots 10. The Los Angeles Rams are having a frustrating December. With their loss to the Philadelphia Eagles on Sunday, the Rams’ offense looks vulnerable. In just the last 2 games, Rams’ quarterback Jared Goff has had zero touchdowns and six interceptions. The Eagles, on the other hand, looked pretty good under backup quarterback Nick Foles (who’s in for injured Carson Wentz). Eagles 30, Rams 23.